It was one of the most insane calls of the 2018 season, but at this point, it is something that Browns fans are probably use to. 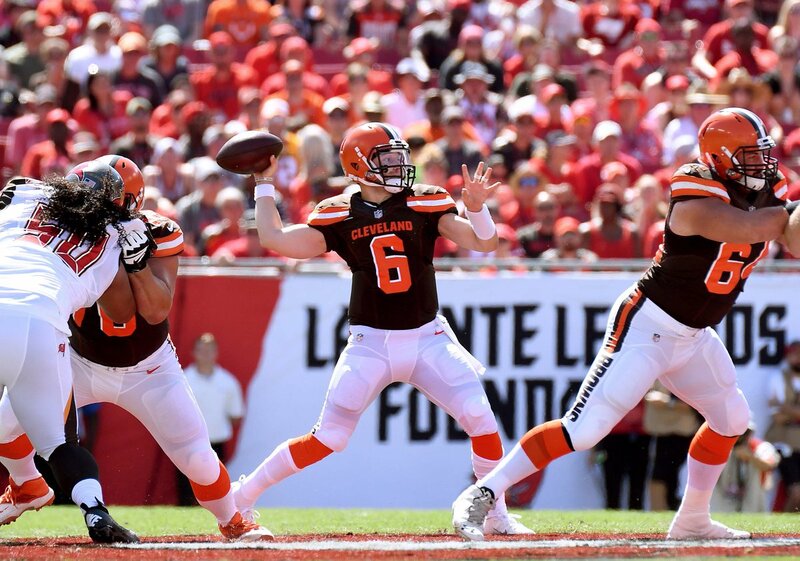 The play of course was the hit on Browns rookie quarterback Baker Mayfield in the fourth quarter of the Browns 26-23 overtime loss Sunday to the Tampa Bay Buccaneers, a hit that looked like live and on replay should have been 15 yards for a helmet to helmet hit. It was a 15-yard penalty – at least at first. “There’s a lot of emphasis being put on protecting the QB. Doesn’t seem like the Browns are getting a lot of calls,” Mayfield said after the game. Here’s the original play in which the penalty was called. Here’s a closer look at the hit by Buccaneers Jordan Whitehead, who clearly hit Mayfield in the head without question. After the game, Mayfield chatted with the media about the call. The call did not sit well with Browns fans, who took to Twitter to voice their displeasure. How is a hit to the head legal simply because Mayfield was running? That looked like clear targeting. Still nice play by Baker gives #Browns a decent scoring chance.